Homepage. 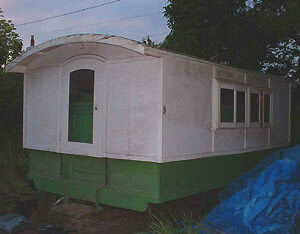 This page: An unrestored Eccles caravan, untouched since 1939. 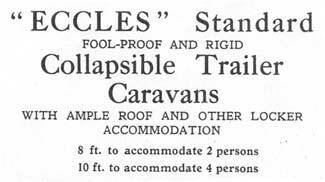 George, already the owner of a Portafold and Farlander folding caravans, has stumbled across this unusual wind-up Eccles 'van, dating to 1929! 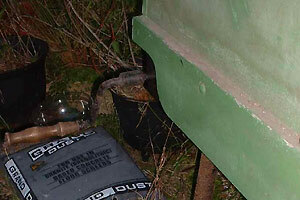 In 2003 it was purchased by the current owner who planned to do a restoration of this rare caravan, but since has sit under a tarpaulin and restoration has not started. George got to hear about it, and went to have a look. What he found was this time-warp condition caravan, suffering now at the hands of the elements, but all there and still saveable. 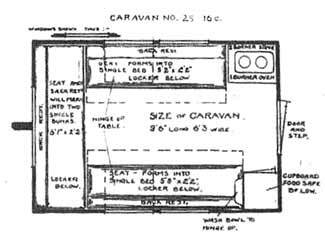 The caravan was put into storage in 1939, and hadn't been touched since. It still has its original painted canvas roof covering. 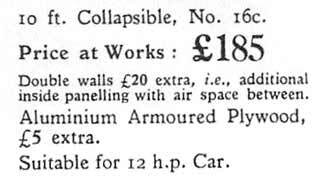 The original owner never got to use this 'van again as he went to war, and was sadly killed in 1942. His widow couldn't bring herself to ever sell it, so it remained tucked away in a shed. She had some great memories of caravan trips they both took in the 1930s, touring Scotland. 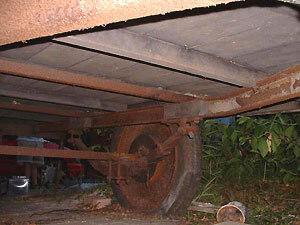 On these northerly expeditions they would get the caravan transported by rail, to save wear and tear on their car. 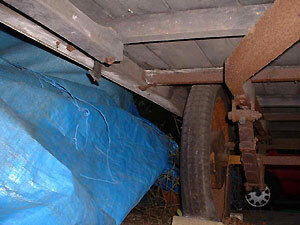 The condition now, having sat outside under a tarp for a few years, is not the best. Woodworm is rampant, but not beyond recall. 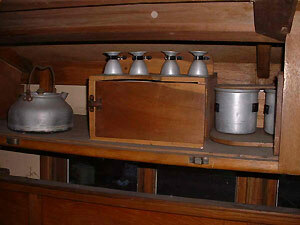 Similarly the oak framing and furniture has held up well, thanks to the quality of wood used back then in caravans. Weight wasn't such an issue as it is on todays fibreglass and chipboard vans. The wind-up collapsible roof still works, in part, so could be restored to full working order no doubt. The original tyres, whilst in poor condition, still hold air (must have good tubes in them! 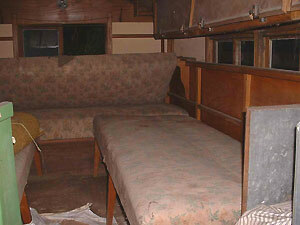 ), and original fabric coverings inside are still in place under later top covers. 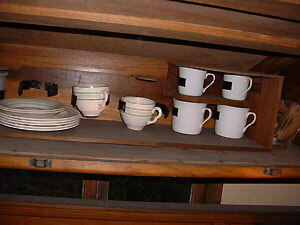 All the original cups, saucers, tea and food-making equipment is still there, just as it was left in 1939. The current owner also has the original factory issued sales catalogue, issued by Eccles when the caravan was new. George is in discussions with the current owner, so hopefully it will go on to find a good home somewhere with someone who can breathe new life into this amazing old van.